World Tennis No. 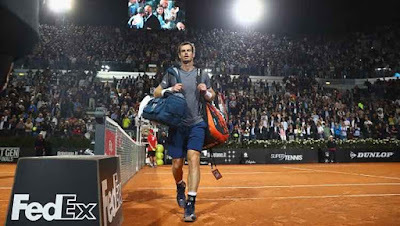 1 Andy Murray and Italian Open Defending Champion got kicked out by the Italian World No. 29 Fabio Fognini (6-2, 6-4) in the second round clash late on Tuesday night. 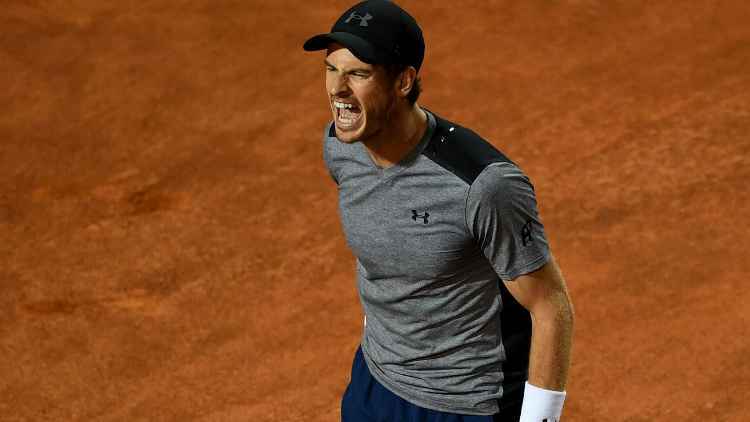 Andy Murray last year at the same event (2016 Italian Open) didn't lose a set, going unbeaten till he became the Champion, is now the second Defending champion to lose out in their first game since 2008, when Rafael Nadal fell to Juan Carlos Ferrero. Since returning from an elbow injury, the Brit has been rolling below expectations, having reached the Semi Finals of the Barcelona Open but got knocked out by Croatia's world No. 41 Borna Coric. "I am just not playing well," Murray said in his post-match press conference. 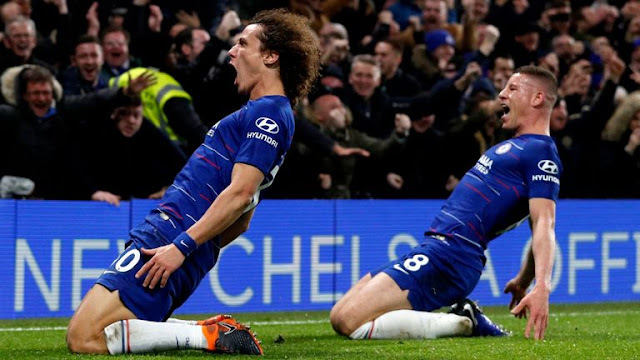 "I mean, the last couple of weeks, they have been tough and I haven't played well. "I am just not playing good tennis and I need to try and work out how to turn that around."